Dianne Feinstein - vice chair of the Senate Judiciary Committee and a ranking member on the Senate Intel Committee, was an "easy mark" for the Chinese spy who operated within her inner-circle for two decades, reports journalist Paul Sperry in the New York Post. According to Feinstein, the staffer was fired "immediately" after the FBI warned her five years ago that Chinese intelligence had infiltrated her office. Feinstein claims he had "no access to sensitive information" and that he was never charged with espionage. That said - FBI officials warned Feinstein in June of 1996, after the staffer began working for her, that the agency had detected efforts by the Chinese government to seek favor with the Senator - possibly in the form of illegal and laundered campaign contributions. Feinstein was on the East Asian and Pacific affairs subcommittee of the Foreign Relations Committee at the time. Despite the jig being up, Beijing still received an extension of its favored trade status, "thanks in part to Feinstein," who in turn embarked on a campaign to minimize China's human rights abuses - for example equating Beijing's 1989 Tiananmen Square massacre to the 1970 Kent State shootings in terms of both nations "charting the evolution of human rights in both countries over the last 20 to 30 years," that "would point out the successes and failures — both Tiananmen Square and Kent State — and make recommendations for goals for the future." Feinstein was also key in bringing China into the World Trade Organization in 1999 - giving Beijing a permanent normal trade relations status, as well as removing Congress's mandate to review human rights abuses and weapons-proliferation records. 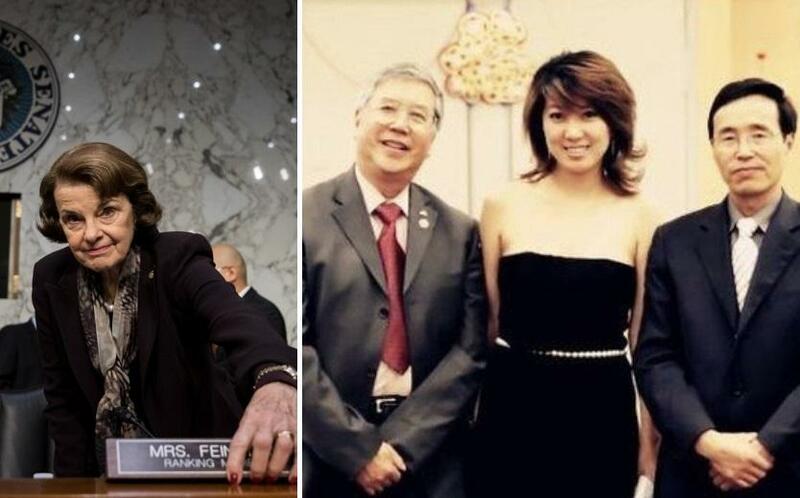 According to Sperry, Feinstein still travels to China every year with her multi-milionaire husband, Richard C. Blum, who appears to have benefitted enormously from the relationship. No wonder she's one of the richest members in Congress!